Quail Creek State Park offers a mild winter climate and some of the warmest water in Utah. That brings in the fishermen and the boaters all year round. 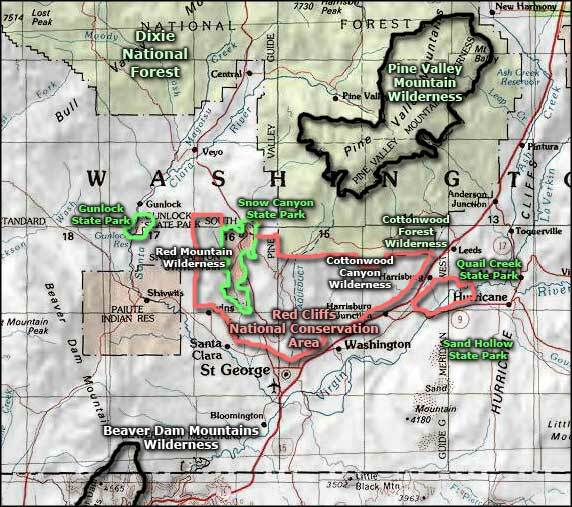 Quail Creek Reservoir was built to supply irrigation and domestic water for St. George. The majority of the water in the reservoir is brought in through an underground pipe from the Virgin River. Two separate dams were built to hold the water back so with a 120' depth, Quail Creek Reservoir is cold enough to sustain a population of stocked rainbow trout, plus crappie and bullhead catfish. The upper layers of the lake are warmer and able to sustain bluegill and the also-stocked largemouth bass. Quail Creek State Park is open 365 days a year, in summer from 6 AM to 10 PM and in winter from 7 AM to 9 PM. Day use permits are $8 for entrance and use of the boat ramps. You can also buy a $75 annual Utah State Parks pass at the Quail Creek State Park Office. Camping in the main campground runs $13 per night. 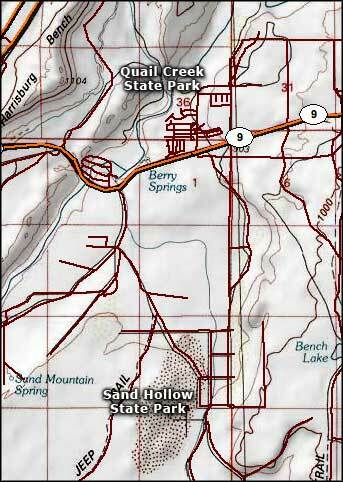 Quail Creek State Park is 3 miles east of Exit 16 (on the I-15) via SR 9, then left on SR 318 to the park entrance. Elevation: 3,300'. Surface water acreage: 600.